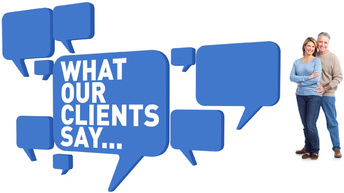 "I could not be more pleased with the service my husband and I received today. The knowledge and compassion displayed by A.D. Garfunkel made the process of discussing insurance very easy. Thanks also to Jon Weinberg for the referral." "AJ&C broker Jon Weinberg worked tirelessly and patiently to get the best product(s) for my company and then worked with multiple vendors to try to get me the best price. It's been a long time since I've received service that good. AJ&C and Jon Weinberg have a client for life." "I just wish to express my complete satisfaction in bringing my homeowners and flood policies to AJ&C Garfunkel. Jon Weinberg did extensive research into finding the perfect policies for me and because of his rigorous dedication, I know that all of my assets are covered. Thank you, Jon, for eliminating so much stress and helping on this journey of being a new homeowner!" "I am very pleased AJ&C Garfunkel and coverage provided. John Weinberg has been very informative and gone out of his way twice to help me out. Wish I had found you all earlier than I did as my previous carrier was anything but. You have a true asset in John Weinberg, good man."